All organic skin, hair and body care products made with plant based botanicals ingredients: Organic Prickly Pear Seed Oil, Moroccan Argan oil, wild Carrot Seed oil, Black Seed Oil, Rose oil, Lavender, Helichrysum – Immortelle and Orange blossom essential oils. Skin, Hair and Body Care made by Nature. From five beauty products to fifty in less than five years, that’s what we have accomplished together. Not only I am so proud of the steady growth and worldwide success of KENZA International Beauty, I am also deeply grateful to my beautiful friends worldwide (a.k.a clients) for allowing me to create, be curious, innovate, and continue to deliver luxurious, high quality products. Over the years I read your reviews and emails asking for new products or to change others. After a year and half of intense work and few obstacles along the road, I am excited to introduce to you the new KENZA “be generously beautiful”™ in a brand new packaging. I have added new facial serums with new precious ingredients like Helichrysum Immortelle, Wild Carrot Seed Oil, Rose Oil Otto, Frankincense and Sandalwood to create a skincare line that will target most of our skincare issues. 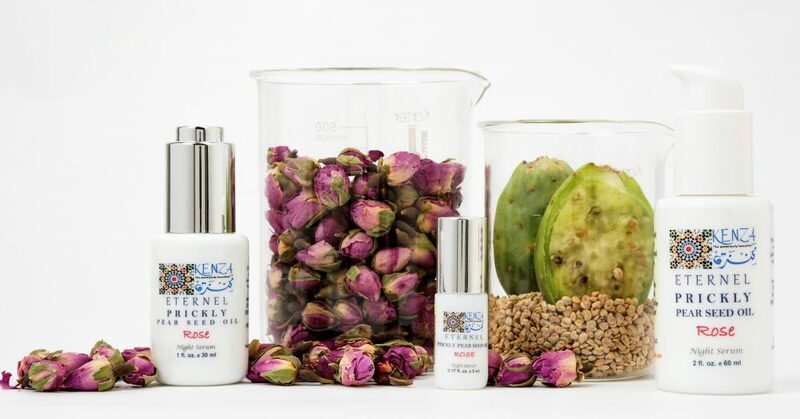 Check out KENZA Pure GLOW , Argan ENERGY , Argan CLARITY , Prickly Pear Seed Oil ETERNEL and Prickly Pear Seed Oil ELIXIR). You will find them in several sizes: in 1oz (with dropper), 2oz (pump), 4oz (lotion pump) and 0.17oz Roll on Travel size bottle to always have it with you wherever you go, to try it for the first time or to gift. 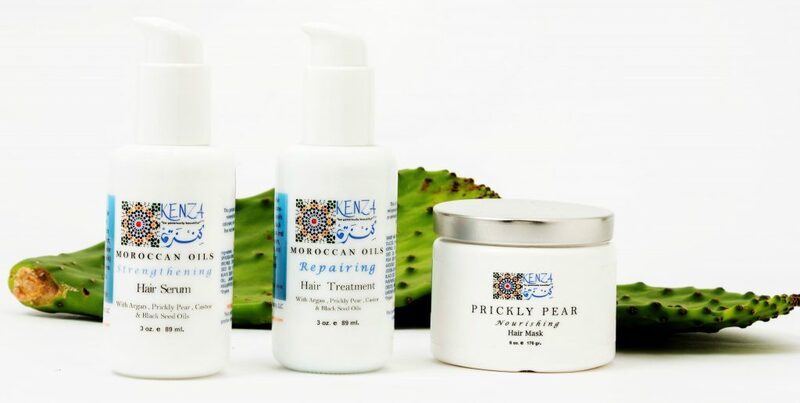 I have extended KENZA Moroccan Oils Hair care line. Now you can shop for a daily hair serum (pure formula of six organic plant-based oils and essential oils), a weekly hair repair (previously KENZA Pure Hair Treatment Oil, the size has changed to 3oz and from plastic to glass) and a Hair Mask that is so rich, pure and super nourishing (you won’t find anything like it in the beauty market! The first ingredient is Prickly Pear extract and NOT water). 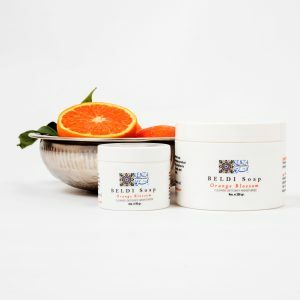 In our Bath and Body care you will find new size for BELDI Soaps, a Rose Honey Face Scrub, and a luxurious Body Scrub made with the Prickly Pear Seeds, Honey, and scented with Cherry Blossom oil. It is so delicious, rich and will leave your skin silky soft. Now we offer three new Body Oils: KENZA Pure LOVE with Argan oil and Sandalwood, SENSUAL Marrakech (previously Pure Marrakech Body Oil) and RECOVERY Oil with Lavender and Peppermint. 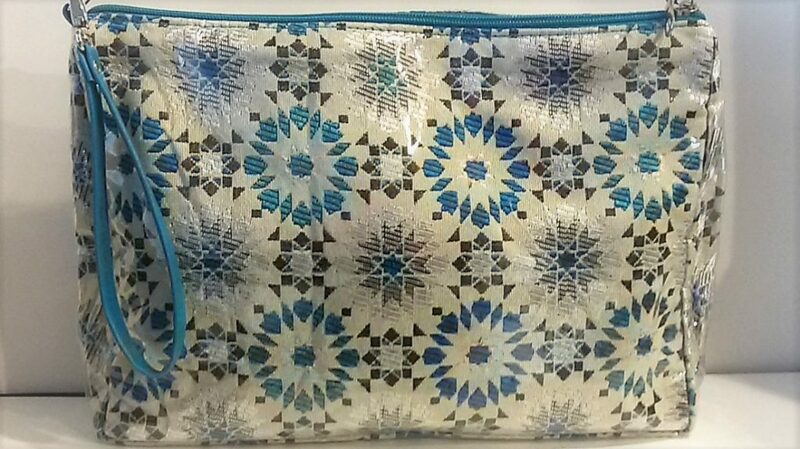 Also check out our new Toiletry bag where you can organize all your KENZA beauty Moroccan style. Visit our e-store Specials and start today with a natural beauty/grooming care. If you feel that your best friends or loved ones would benefit from our beauty line, share our Information and specials with them. Follow us & connect on our social media platforms, we would love to hear from you. With your love and support, we can spread more LOVE-BEAUTY-GENEROSITY – Thank you! This entry was posted in Pure Moroccan Beauty Oils and tagged Argan oil hair care, Argan oil skincare, beauty bag, beldi soap, clean beauty, cosmetic bag, coupon code, cruelty-free, discount, essential oils, free shipping, halal cosmetic, helichrysum italicum Imortelle, holistic beauty, KENZA International Beauty, khadija fajry, Lavender oil, Moroccan beauty, Moroccan Oils Hair care, natural-beauty, organic facial oil, Prickly Pear Hair mask, Prickly Pear Seed Oil skincare, Rose oil, Rose oil Otto, Rose oil skincare, special offer, Toiletry bag, toxic free beauty. Bookmark the permalink.